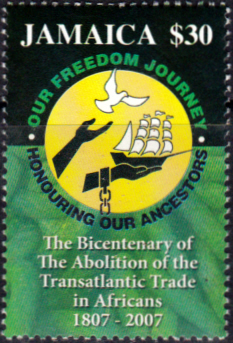 Learning Links was developed initially 10 years ago, to continue the research and work done in Jamaica and Britain 2007 to recognise the Bicentenary of the Abolition of the Slave Trade Act, or as it was called more accurately in Jamaica: the Abolition of the Transatlantic Trade in Africans. African men, women and children were traded, not slaves. Now 10 years on, our research and projects cover a wider spectrum, as we explore links between countries around the world. However the legacy and impact of the transatlantic trade is still a main focus and Learning Links International is involved in practical ways, like setting up the "Pennants Schools Project" to bring the facilities at the John Austin Primary School and Pennants Basic School up to date.